This series is an introduction (or review) of the basic teachings of the Bible as taught in The Lutheran Church-Missouri Synod (LCMS), and Messiah Lutheran Church. 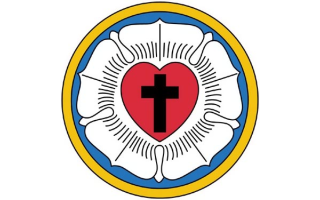 Those who are new to the Lutheran Church are encouraged to attend for a better understanding of what we believe, teach, and set as goals for living. Those who enroll for the course will be given a notebook with all lessons and appendices at the beginning. For those who would like to review only particular lessons, booklets will be available on Sunday morning of the lesson. Babysitting at church can be arranged, if needed. Please contact Pastor for more information and to enroll in the class. Bring your questions, guests, friends, neighbors, not-yet-member family members. Membership commitment is not required. Just exploring? Fine. Come, let us share the faith!